Promote your business online via social media marketing. What can you do with Campaign Hub? 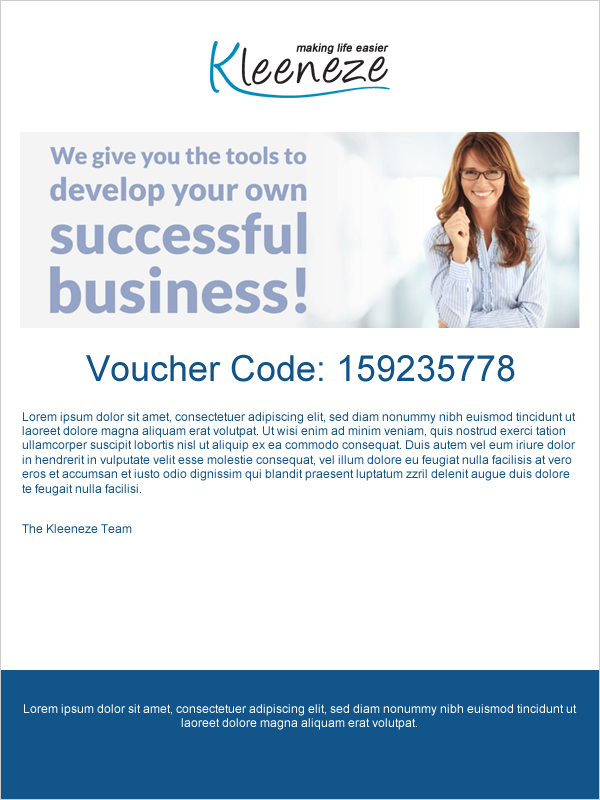 To create your own adverts, landing pages and vouchers; for all sorts of promotions. Use your own social networks to promote your goods and services. Email all your contacts simply and safely using your own list of contacts. Send SMS marketing messages to all your contacts. Manage your Facebook advertising using our fully integrated system. Using our system you can manage all subsequent contact with your new clients. Examine how each offer and landing page is performing in an easy to understand system. You can use our system on a desktop PC or Mac, tablets or even your phone. We provide pre-populated templates that need a few minutes editing before you share. What does Campaign Hub do? CampaignHub is a platform that allows you to quickly and easily create and manage ad campaigns, allowing you to promote your business on social media, email and/or SMS and generate leads that are delivered to you in real time. A business, a PC or laptop and a desire to promote your business. Once I have confirmed I want to use your services, how do I sign up? Click on any of the "SIGN UP" buttons on the site. No - It’s not essential and won’t stop Campaign Hub from working for you. I already advertise on Facebook. What’s the difference? Sharing a picture of one of your products or services on Facebook is not advertising - If it doesn’t create an action; it’s not an advert and if you haven’t paid any money for it, it’s definitely not what Facebook considers as advertising. An organic post will actually only reach 3-8% of your Facebook fans. In fact, if you’ve ever got as far as using The Power Editor to fully utilise Facebook Advertising, you’ll appreciate how tricky it is and welcome Campaign Hub with open arms! Why do I have to pay for the Facebook spend separately? Why can’t it be incorporated into the total price? Campaign Hub is not part of Facebook and any ads must be paid for by nominating a credit card for the business it is advertising. How much should I be spending on Facebook? There is no fixed price on how much you should be spending on Facebook. You can spend as much as you like. However, bear in mind that the less you spend, the less people your advert will reach. As a general rule of thumb we suggest no less than £5 per day per offer which is roughly about £150 per month. How do I set up a Business Facebook page, my Ad Account and set up my card details? Don't worry - We can help you with this or you can download one of our guides. Do you work for Facebook? No – we work alongside them with their full support. A landing page is the page the client 'lands' on once they have clicked your offer and the front door to your website or, if you don’t have one, it’s where you explain more about the offer and your business. Our phone lines are open from Monday to Friday 9am – 5.00pm UK time or you can email us at info@campaignhub.com.